Nicely done review. It is an interesting movie insofar as Jewish audiences react very differently from non-Jewish audiences. As a Jew myself, I felt conflicted about the portrayal of Judaism in the film. Judaism seems silly at times and nefarious at others. But, beneath the absurdities of suburban Judaism, the movie presents Judaism's essence (and also, implicitly, an explanation of why Judaism and American culture are so incompatible). I took the movie to be about the absurdities of life and our many questions about them. While American culture motivates us to seek answers to these questions, and even expect them, Judaism is a religion that does not and will not provide answers to the deepest questions. It is the asking that makes the experience of life worthwhile, but this view is wholly incompatible with our scientific mindset of an answer to every question. Because of this basic difference between the American worldview and the Jewish one, American Judaism becomes the absurd activity that Larry Gopnick's life embodies. It is an interesting observation that gets a bit muddled in the presentation, I think, for both Jewish and non-Jewish audiences alike. I take this to be a very interesting movie with no ideal audience, since neither Jews nor non-Jews will happily stomach these insights. 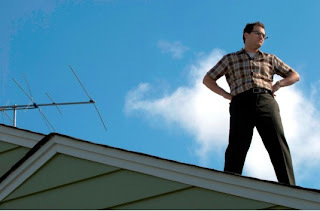 Still, few movies are as thoughtful, and for that, the Coen Bros deserve some praise.